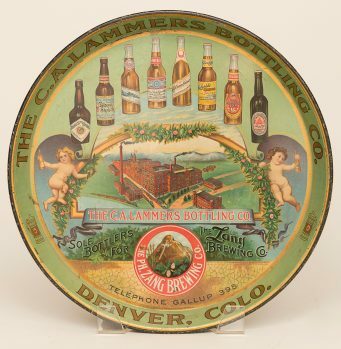 Pre-pro tin litho advertising tray for the C.A. 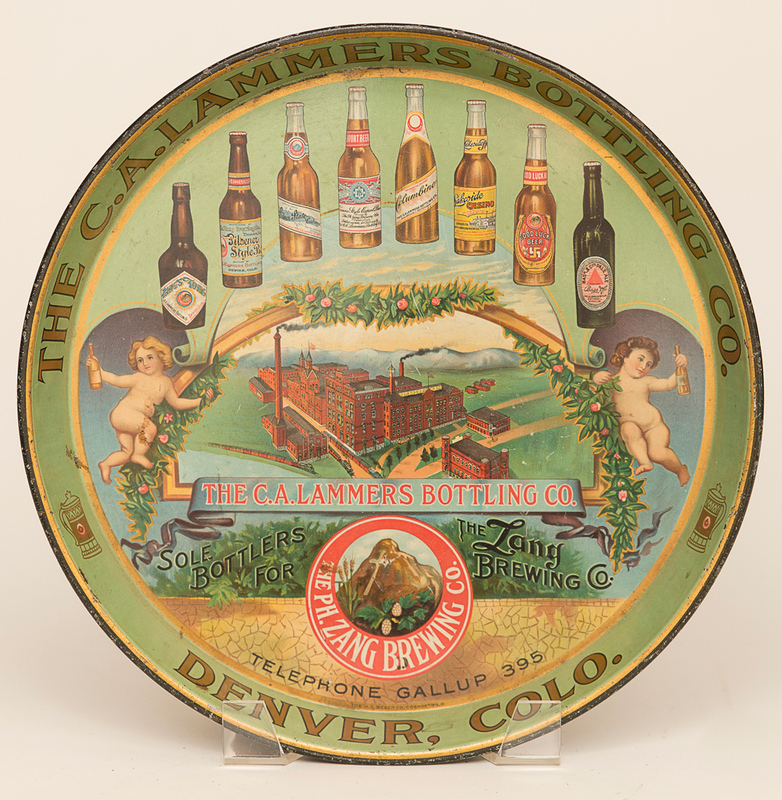 Lammers Bottling Co. of Denver, Colorado with images of product bottles, the factory, the logo and cherubs (a rare quadfecta of subject matter). Tray is in excellent condition with bright colors and little to no damage beyond a few edge nicks.